Fingerprint readers placed underneath a display are a mostly-cool innovation that allows for prettier, better-designed hardware. They do create some problems, though, particularly when it comes to screen protectors. If this Galaxy S10 leak is legit, then friends, I feel for those of you who often need extra display protection. The video below comes from the folks at MobileFun, who peddle “leaks” of upcoming phones in an attempt to sell accessories. It shows someone with a Galaxy S10+ in hand as they test out a screen protector that, well…just look at it. The screen protector has a giant hole, man – a really, really large hole where the rumored in-display ultrasonic fingerprint reader will sit. 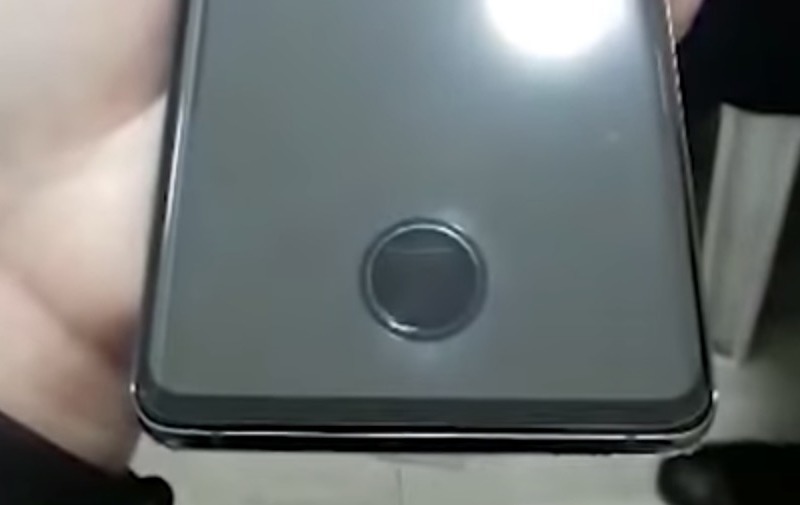 It’s there because if the screen protector covered the fingerprint reader, it might not be able to read your fingerprint. And that’s one of the problems I was referring to above. We’ve seen this before. When the OnePlus 6T launched, it came equipped with a cheap screen protector that OnePlus said would work with its in-display fingerprint reader. They warned that others may not allow the reader to function properly, though. Can you imagine spending $1,500 on a Galaxy S10+ and installing a sh*tty screen protector on it that features a massive hole you’d have to swipe over and around throughout the day? Please don’t do this. Please skip the screen protector until someone comes out with one that works that doesn’t have a giant hole in it. You’ll be fine until then. Someone has to come out with one that isn’t this. Take care of your expensive electronics.